Do you have a special chair to relax in? The Queen wishes me to write and thank you all for the splendid pictures, letters and poems you have contributed. You can find them at our site www.languagesupportuk.com under the LSBooks section. 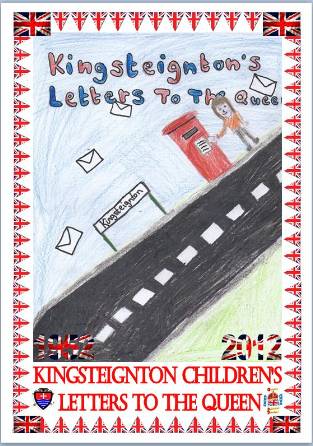 My name is Arabella and I live in Kingsteignton. I have a very important question for you. Does it hurt when you put your crown on your head? Thank you so much for reading my letter. I hope you have a super Jubilee. My name is Leon and I am 10 years old and my favourite thing is the marvel comics and my favourite character is Spiderman. Mam, I have a question I would like to ask you. If you were God what would you do to help the earth and why? Hope you have a great life on the throne. Elizabeth 2nd our Queen for 60 years. And walk to the end of the town.